Spring and summer are always the seasons where the make-up choice gets more colorful. Therefore, I’m introducing the new Too Cool For School Check Hot Girl Lash to you today, a colorful mascara selection by my favorite Korean design cosmetic brand Too Cool For School. 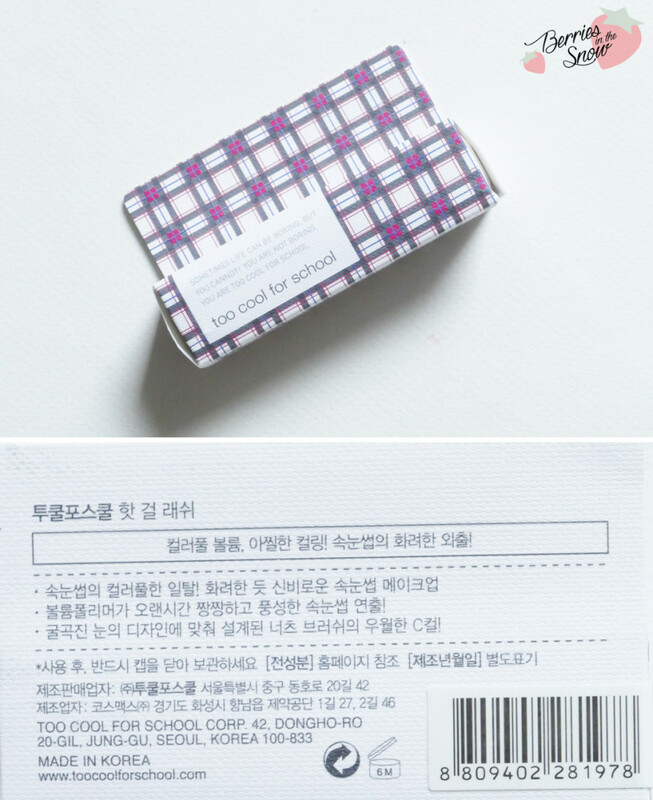 Too Cool For School is a Korean brand, known for a unique packaging design. Their products are in the mid-pricey region and slightly more expansive than Etude House for example. The Too Cool For School Check Hot Girl Lash belongs to the Check line of Too Cool For School, which all have a checkered/plaid pattern design as common characteristic. I like plaid pattern in general and it reminds me of school uniforms and/or punk(rock) fashion. The Too Cool For School Check Hot Girl Lash mascara comes in a checked cardboard box. 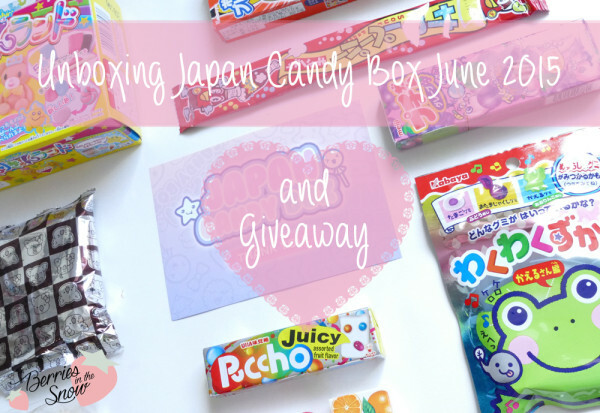 The paper of the the box has not only the checked pattern printed on, but also has the pattern imprinted into the surface, so you can feel it. It looks like a high quality packaging that way. The description on the cardboard box is short and in Korean only, but you will find a lot of pictures and more Korean description on the official Too Cool For School page. Too Cool For School Check Hot Girl Lash is a colorful volume mascara, which helps creating a unique makeup look. It is available in three shades, which are No.1 Nuts Brown, No.2 Royal Blue and No.3 Raspberry Pink. I received No. 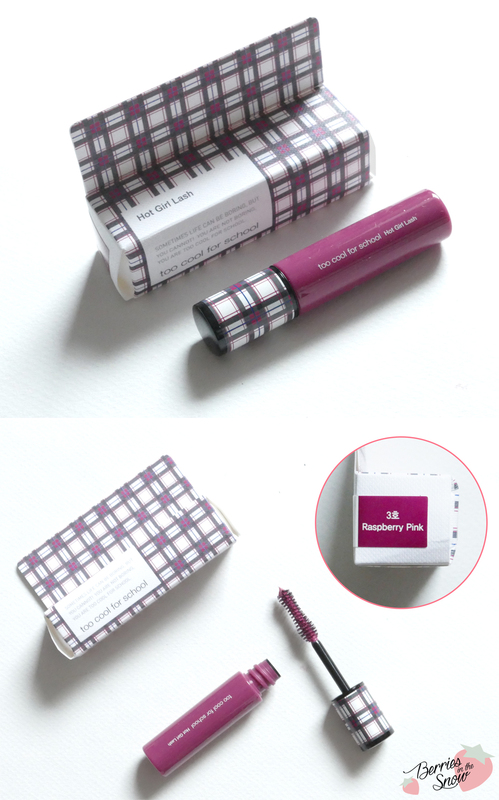 3 with my BNTnews Box for July, a pink/plum colored mascara. The Too Cool For School Check Hot Girl Lash mascaras come in smaller containers than other mascaras have regularly. Therefore the wand is also shorter, which makes it a bit easier to use and to control. The consistency of the mascara is creamy. The texture is soft yet not cakey and allows a long-lasting effect. This product presents the Curl-up Polymer technology, which preserves a water and sweat-proof C-curve for a long time. The wand has a curved shaped, too, as you can see in the images. I tried the mascara on my bare lashes for the images below and used one layer and I must admit that it does a good job in curling the lashes and holding the curl. My lashes are naturally dark, so it is difficult to see bright colors on them. It gives them rather a light pop of color than being super pigmented. since I never were super colorful eye make-up I’m not bothered by that fact. I think it will look much brighter and colorful on people with naturally light/blonde lashes. On the Too Cool For School page you will even see some suggestions on how to in-cooperate these mascaras into pretty eye make-up looks. I really like the small size of the Too Cool For School Check Hot Girl Lash mascaras, since it is very travel friendly. Nevertheless, I would love if they added a regular black color to it, although I would be intrigued to try the brown version. Although I’m not really wearing very bright and colorful eye make-up I’m positively surprised by the pink color, since it makes the eyes appear softer and might look good with very minimalistic make-up, too. 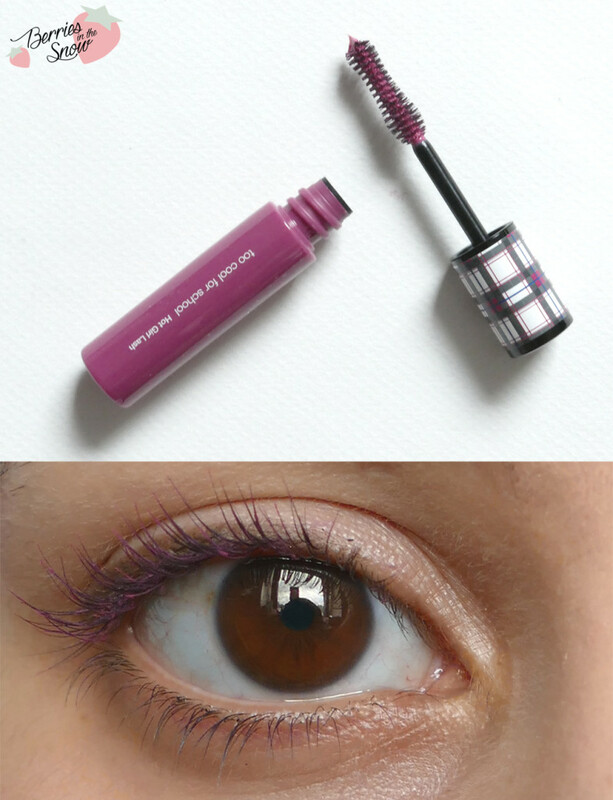 Considering the curling effect, this mascara does what it promises and give a nice curl, too. The Too Cool For School Check Hot Girl Lash mascaras retail for 12000 Won from the official Too Cool For School page. Since it is a new item it might take some time before it is available in other online stores. Really subtle and nice with your natural lash color. It looks very pretty on you! I didn’t like how it looked on black lashes though. Wow, this is just like the Etude’s curl fix but I guess TCFS released it first? But the way you say it makes it super cool, oh my, I really want to try this now! Oh I really like the color but I really think the pigmentation could be better! The size of the mascara is perfect though for a colored mascara! I’ve never really found a coloured mascara that did much on my lashes, but you can see a subtle different there. As usual, Too Cool for School impresses me with their packaging. That is really special! Pink for a mascara, it comes out quite pigmented!